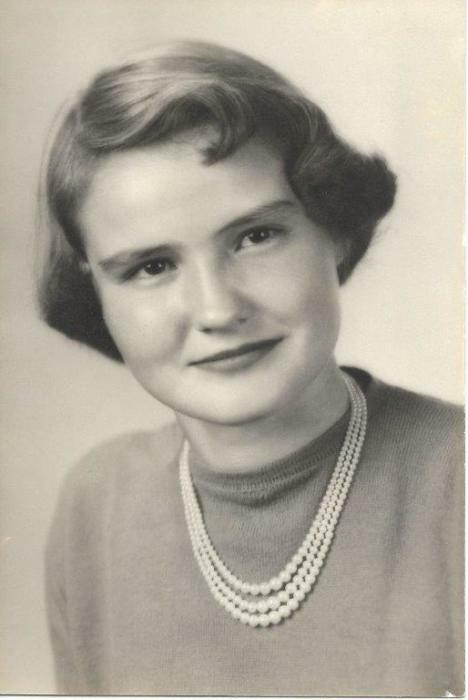 Obituary for Miss Helen "Tede" Verner | Hinchliff-Pearson-West, Inc.
Helen “Tede” Verner, 81 of Abingdon, passed away at 2:22 p.m. Friday, February 1, 2019 at Blessing Hospital in Quincy. 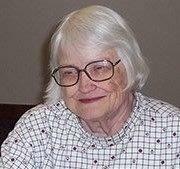 She was born March 8, 1937 in Galesburg, the daughter of MacDonald and Clara Helen (Dopp) Verner. Tede is survived by one sister, Mary “Susie” Lux of Collierville, Tennessee and many nieces and nephews who are spread throughout the country. To her many nieces and nephews, Tede was the cool aunt. She was always quick with a joke and ready for adventure. She was preceded in death by her parents and three brothers, Walter, William and MacDonald Verner, Jr.
Tede spent much of her youth at Lake Bracken. It was there that she discovered golf, a sport she excelled in and enjoyed for many years. Tede enjoyed teaching others to golf. She coached school golf teams. Tede was active in high school where she enjoyed participating in class plays, yearbook staff, band, choir, and clubs. Tede was proud that she achieved Valedictorian and was the Abingdon High School Homecoming Queen. Tede earned her undergraduate teaching degree at Knox College. She went on to complete a Master’s in Advertising and a Master’s in English Literature. Tede enjoyed travel to Europe singing in the Sweet Adelines while at Knox. Tede was a writer and had many poems and short stories published. Tede’s first teaching job was in Knoxville. She later taught at Bradley University and Carl Sandburg. She retired after many years teaching English in Rochester, Illinois. Tede also substituted in area schools for several years and is fondly remembered by both students and teachers in those schools. Tede was active in the Galesburg Community Chorus, Pi Beta Phi Alumni Association, the Carl Sandburg Historic Site Association, the Galesburg Public Art Commission, Knox College Alumni Hall Restoration committee, Knox College Alumni Association, and book clubs. She was a sponsor for Knox College Sigma Alpha Lota and a girl scout leader. Tede was a member of the Abingdon United Methodist Church, where she had served as pianist and choir director over the years. Cremation will be accorded. A celebration of life service will be held at 11 a.m. Saturday, February 16, 2019 at the Abingdon United Methodist Church. Rev. Nancy Wilson will officiate. Private burial of her cremains will be in the Cherry Grove Cemetery near Abingdon. Hinchliff-Pearson-West Funeral Directors and Cremation Services Abingdon Chapel is assisting the family with Arrangements. Memorials may be made to the Abingdon United Methodist Church or the Alzheimer’s Association. Online condolences may be made at www.h-p-w.com.